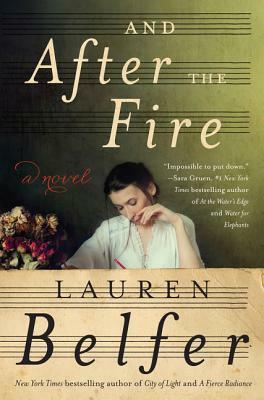 And After The Fire is part historical novel, part mystery, with a tinge of romance. The settings alternate between Berlin in the late 1700s to mid-1800s, and 2010 in New York and Germany. The plot starts with Susanna Kessler inheriting a manuscript supposedly signed by Johann Sebastian Bach. She is determined to return it to its rightful owner with the help of Dan, a Bach musical expert who is not Jewish. This journey will challenge her preconceptions about herself, her family’s history, and also offer an opportunity to finally make peace with her violent past. Intertwined with Susana’s current day story is the life of Sara Itzig Levy, a renowned musician in the 1800s, who receives an unsettling gift from her teacher, Bach’s son. This work’s disturbing message will haunt Sara and her family for generations to come, especially “the lost cantata” of Bach with unmistakable anti-Semitism in the recitatives. 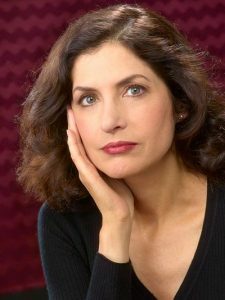 Lauren Belfer: I received an announcement of a course about J. S. Bach. I learned that some of his music had a lashing out against the Jews. The idea came to me as I thought about the Nazis stealing masterpieces of art: ‘what if I had found a manuscript stolen during the war?’ As I did the research I was introduced to people I never heard of including the real-life Sara. I knew I had to write about her and this propelled two narratives, one in the present with Susana, and the other in the past with Sara. EC: Do you think Bach was anti-Semitic like Richard Wagner? LB: Bach did not leave writings of what he personally believed unlike Wagner. As I write in the book Wagner, in an article, condemned and basically destroyed the music of composer Felix Mendelssohn, claiming it lacked passion because he was Jewish. Wagner was a coward because Felix had died and could not defend himself. It appears Wagner lit a fire of this latent anti-Semitism. Even though all of Felix’s family converted to Christianity, to the society around them they were considered Jews. EC: You speak in the book of Wagner representing the future of Europe. Do you want the readers to believe that? LB: I believe the context of the music is relevant. Critics say that the aesthetic beauty is all that counts and composers’ personal thoughts should not be considered. I don’t buy that. I don’t think these anti-Jewish beliefs came out of nowhere. I also touch in the book how the Lutheran religion has in its Bible that ‘Jews should go to hell,’ and there is Martin Luther’s book that is extremely anti-Semitic. These feelings were simmering for hundreds of years. I was surprised when I learned through my research how Lutherans did not disavow these anti-Jewish thoughts until the 1990s. EC: Did Bach actually write the anti-Semitic lyrics? LB: He chose the lyrics from several poets that worked with him, and they lashed out at Jews in very contemptuous ways. He was an ordained Minister of Music responsible for choosing the Librettos for the Church pieces. Although I must say that the piece written about in the book is fictional. My husband, Michael Marissen, is a music scholar steeped in Baroque music. He was an enormous help since he is an expert on the music of Bach. He made sure everything was plausible and correct. EC: You have both the male and female current day characters struggling with their faith. Susana is a secular Jew and Dan’s religion is Lutheran. Please explain. LB: I tried to look at how bad things can happen to good people. Both these characters took small steps to trust each other while attempting to overcome their tragedies. They struggle with their inner peace. How is it if someone believes in G-d’s teachings and are devout, like Dan, they experience tragedy? EC: You write how Susana and Dan felt covert anti-Semitism, even in 2010. Why? EC: You go into a lot of detail about Buchenwald. Why? LB: I wanted to show how it is such a shocking experience with such disconnect. The setting is on a beautiful plateau over looking a valley with trees and the mountains in the distance. As I wrote in the book not much is translated into English, but Michael, who can read German, deciphered stuff. Many people will not understand the more shocking aspects. For example, these rulebooks for SS Officers talked about the uniform requirements and ‘leave’ guidelines. But with that are also instructions on how to take over the property or apartments of dead Jews. Being able to have someone translate these German documents took it to a whole other level. LB: How current and future generations will reconcile with what happened to the world, ‘After the Fire.’ I chose that title because the original meaning of Holocaust was ‘a consuming fire.’ My grandmother lost almost all her family during WWII. As a third generation I was surrounded by the shadow of that war. I hope readers can put themselves into Susana’s shoes as she struggles how to make peace with the past. I also hope readers will be introduced to Bach’s music since not all his works are religious and anti-Semitic. The concertos and keyboard pieces are astonishing and wonderful.